Ask us about our Parts Processing and Analysis Service. Leading the way forward from current optical disc thin film technology to the next generation of higher density discs. We also offer a well equipped materials development laboratory for the advancement of your materials project. For more information about our hourly processing and consultancy rates please contact us. Sister Company to TTC doing renewable energy projects. Target Technology has collaborated extensively with DVD equipment manufacturers and suppliers to ensure the best materials compatibility for DVD and BD production. Ask us about our Industry Standard TTPXX sputtering targets for optical disc replication. MBE with RHEED, RGA, VEECO wafer handling/heater, Atomic Hydrogen Generator, Two E-Guns, etc. Aztec Energy Standard Microanalysis System X-Max 80 Large area Analytical Silicon Drift Detector. 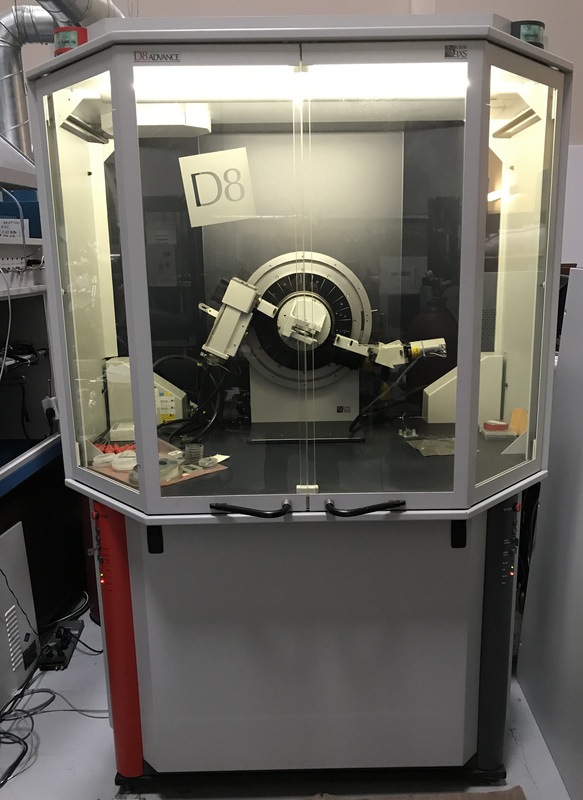 A comprehensive Energy Dispersive X-ray microanalysis system. The Horiba EMGA-821 Hydrogen Analyzer is designed for accurate and rapid measurements of the hydrogen content of steel, non-ferrous metals and new materials. The analyzer extracts hydrogen gas and measures it with the thermal-conductivity detector. 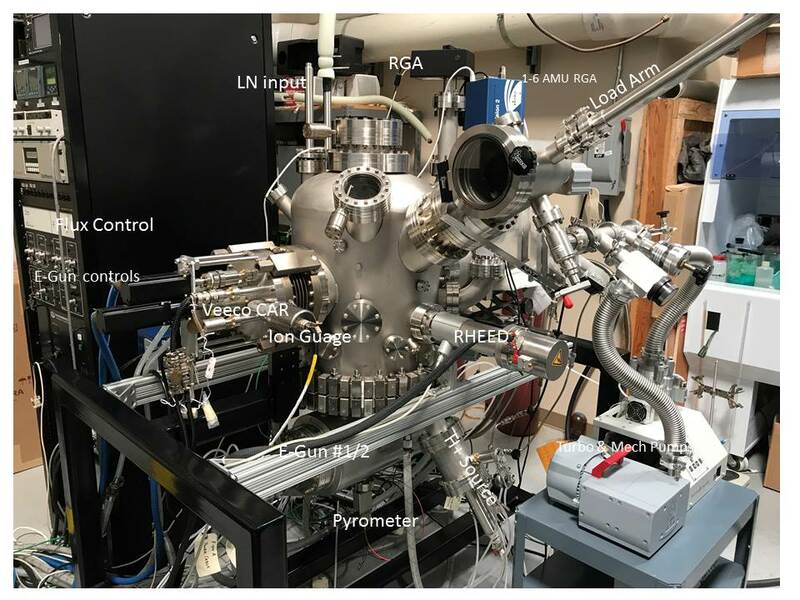 Unit is a fully automated instrument for making pressure-composition-temperature isotherms with high accuracy pressure sensors for Hydrogen. PGAPro-200 amu, an automated 200amu quadruple mass spec RGA system inclusive of a hybrid turbo/mechanical pump and sampling manifold. Additional to this is an MKS 1-6 amu RGA. 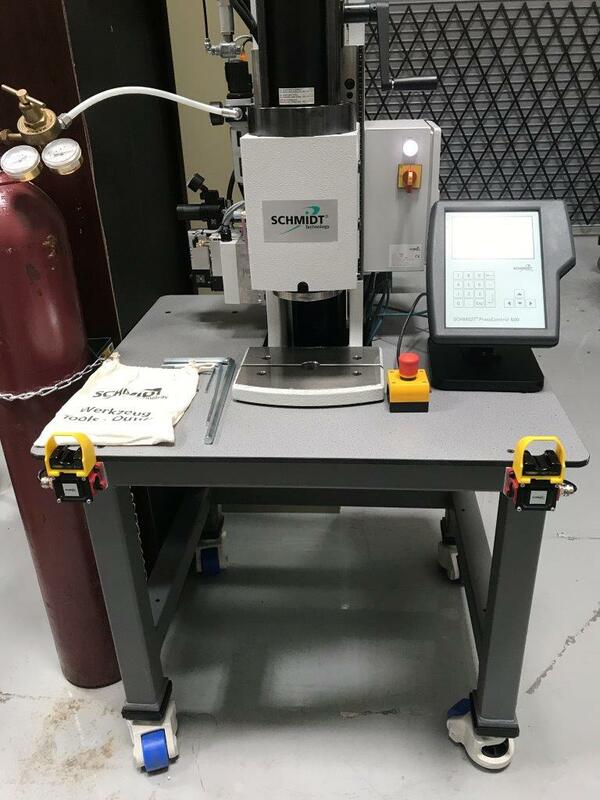 Schmidt Hydro-Pneumatic Press NR 368.100.20-C600TH-HP2 Applications include assembling, riveting, crimping, bonding, forming, pressing, flaring and punching. Pneumatic press with 100mm stroke, 20mm power stroke 16,000lbs of force (72kN) Force sensor spec to 100kN with 20N. 43-87 PSI operating pressure. 2-hand start button. PressControl 600 for process control, force measurement, etc.